If you’re keeping up on the hippest and newest in tea, the phrase “dessert tea” may be old news to you. 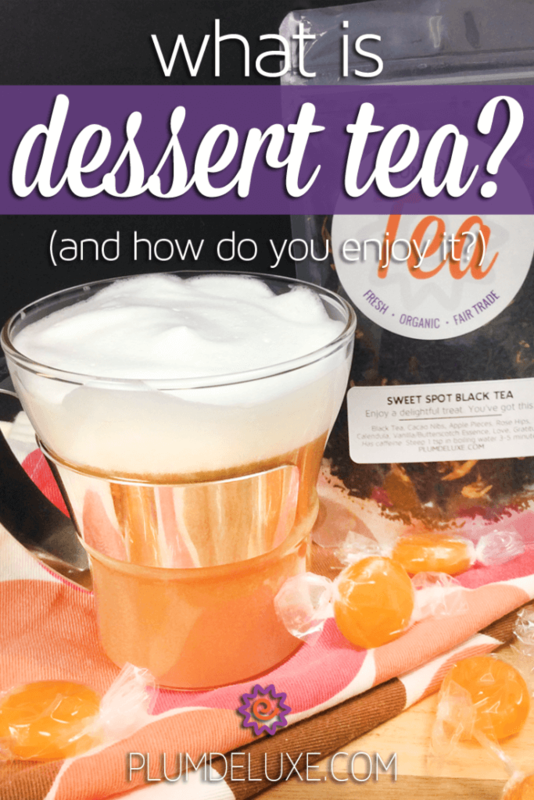 But whether you’re a connoisseur of dessert teas or have only a vague notion of them from something you saw at your local coffee shop, you may still be wondering what a dessert tea really is. People have been blending tea together with fruits, nuts, herbs, and other ingredients for a long time now, so it makes sense that they should start taking inspiration from desserts. 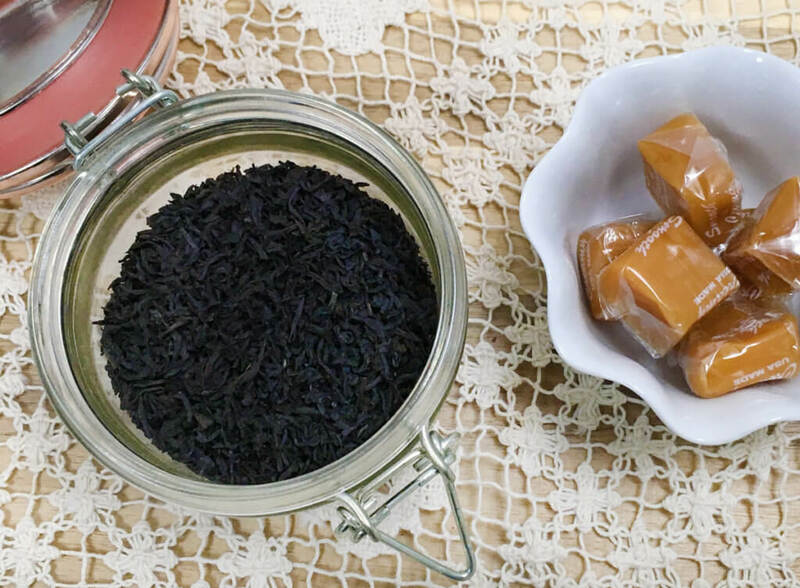 The sweet and creative flavors of dessert teas not only provide an easy in for people who might not otherwise try tea, but they also provide a sugar-free option for people looking for a healthier alternative to their favorite treats. Sound good? Then let’s dive into the scrumptious details about dessert tea. Dessert tea is, in brief, any tea blend that attempts to mimic the flavor of a certain dessert. Sometimes, a dessert tea will share a name with the treat it emulates, such as our Coconut Macaron Dessert Tea. 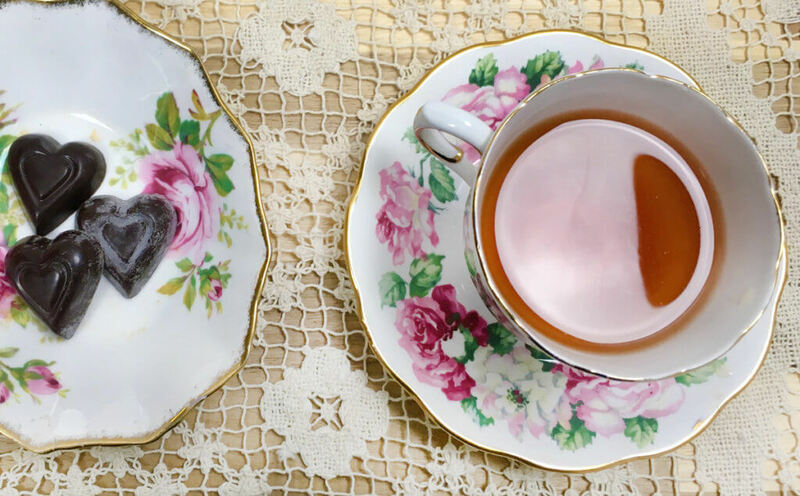 Dessert teas can be light and fruity, like our Peaches and Cream Oolong; warm and nutty, like our Porch Sippin’ Pecan; or rich and smooth, like our Chocolate Hazelnut Dessert Tea. Does Dessert Tea Contain Sugar? People looking for alternatives to their favorite sweet treats will probably be especially cautious about the sugar content in dessert teas. At Plum Deluxe, all our dessert teas are sugar free, as well as fresh, organic, and fair trade, like all of our teas. In general, though, keep an eye on the ingredients. Some dessert teas will contain candy bits or chocolate chips, which means that your brew will contain trace amounts of sugar. If you’re looking for ways to cut back on your sugar intake when drinking tea, it turns out we have a whole blog post dedicated solely to that topic! Is Dessert Tea Only for Dessert? Dessert teas are naturally sweet, so they do make a great palate-cleanser after a meal. However, this doesn’t mean that you can only drink them in the evening. 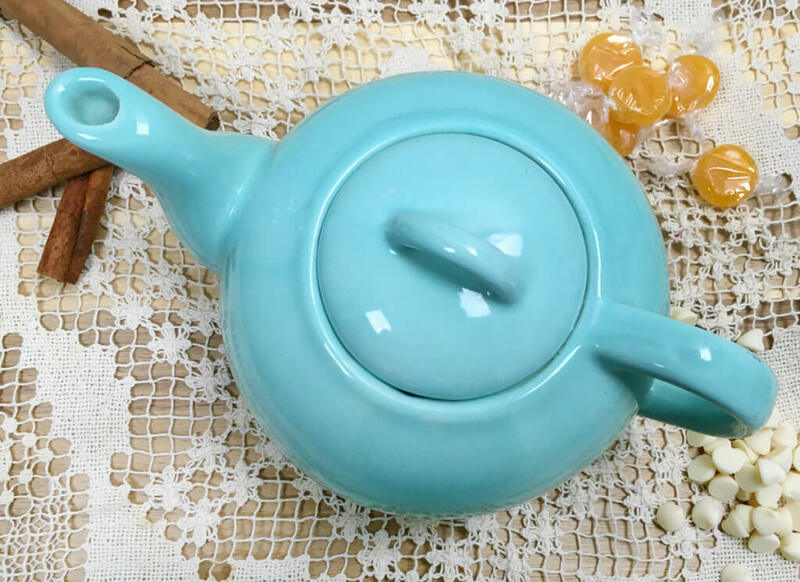 Dessert tea is delicious any time of day! I often like to drink them in the morning as a tasty, perky pick-me-up. Be sure to take note of the dessert teas that contain caffeine, though, and regulate your consumption, so they don’t interfere with your sleep schedule. Does Dessert Tea Pair Well with Dessert? Tea and desserts have long been paired together for tea parties and celebrations. Dessert teas seem even better suited to this than most. Be aware, though, that the sweetness of a dessert may overwhelm the flavors of the tea. When tasting a tea for the first time, it might be best to keep your palate clean. Once you know what a dessert tea tastes like on its own, you can start pairing it perfectly with desserts. You can also make desserts with your tea! Check out our tips on baking with tea. While you’re there, you can also browse our tea-dessert recipes, and maybe even find your next baking project! Think of a dessert you really like, and there’s probably a dessert tea out there that matches it. Could you go for a nice, thick slice of coffee cake? Try Apple Cinnamon Warmth. Craving a candy bar? Sweet Spot Black Tea is probably right up your alley. Can’t wait to dig in to some homemade cookies at your next holiday party? Tide yourself over with Gingerbread Chai. We’re always experimenting with new and delicious dessert teas, so you’re sure to find the cup that suits your style. Cheers to dessert!